The story of a loyal domestic worker: We know that most of the domestic workers in Saudi Arabia hail from different countries. They come here, serve us and then one day has to leave for their own country. Most of these expat house-workers tend to become part of the family. After all, they have spent 20-30 years or even more with a sponsor family. This means that they have spent more time in Saudi Arabia with the Saudi family than their own families back home! 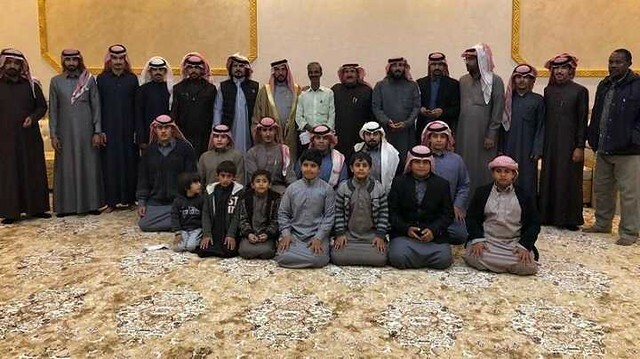 It is not easy to leave Saudi Arabia after decades: Indeed, leaving Saudi Arabia must be an emotional experience for them, they would be delighted to get reunited with their family but leaving a place after decades is also tough. A person gets used to a lot many things which are difficult to leave. 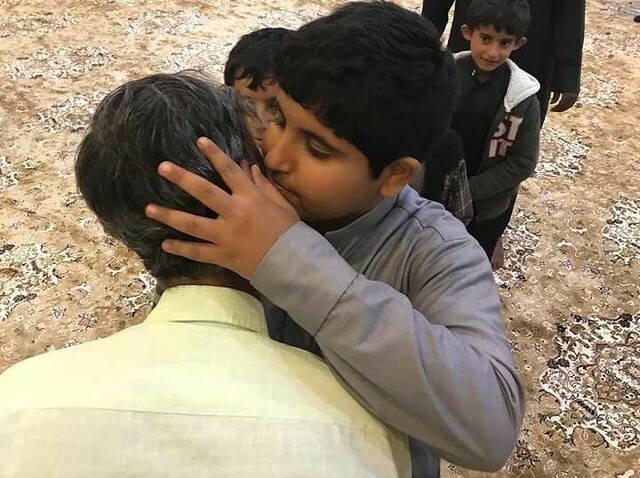 However, the new trend of bidding a memorable farewell to expat workers by Saudi families is melting hearts of many. This trend is a great one: a worker who gives years of services shall be given respect and love when he leaves so that he might not feel bad for spending so many years away from his family. Meedo Babu: Every now and then, Saudis are coming with new ways of bidding farewell to their workers. 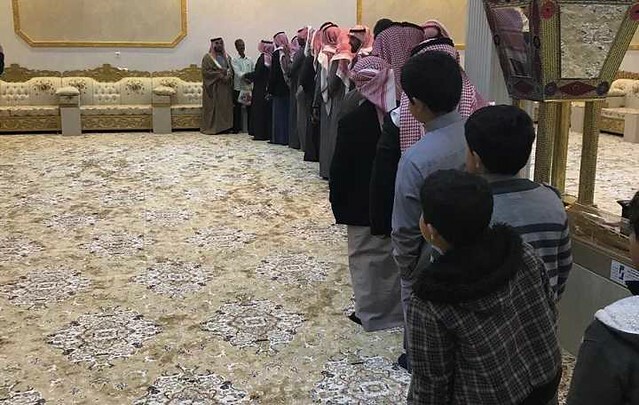 Now another Saudi family has won the hearts of many by coming with the most respectful way of paving farewell to their loyal Indian worker. The expat worker named Meedo Babu had been living with the Saudi family for 35 years. During these 35 years, he had proven himself to be a loyal and hardworking worker. The family has set a monthly pension for him: A Warm party was thrown by the family to honor his 35 years of services and was given a good amount of money as a reward of loyalty. A monthly pension has also been set for him. Awad Khudair al-Remli al-Shemri, the sponsor said that he is grateful for Meedo’s services. He said that Meedo had been a representative a loyalty and kindness all these years. He had been generous towards the old and the young ones and had become a part of the family. They paid him the due respect: The most interesting of all was that the whole of the Al-Shemri family stood in line form old to young. Each member of the family was in the queue according to the age and each individually greeted Meedo before he could leave. The video clipping and footages went viral on social media and people could not resist loving it. People praised the kind gesture of the family towards their work and claimed that they had proven that humanity is above all. Some users even said that this was the sweetest thing they had seen on the internet and it was beautiful. Appreciation was poured from everywhere and people were in love with the kind gesture. 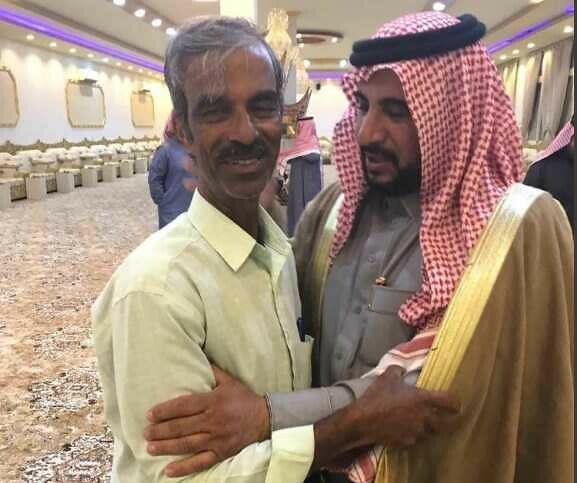 While there are some who tend to mistreat their workers, there are many in Saudi Arabia who tend to love their workers!